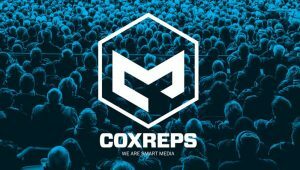 With growing station group M&A and more in-house repping, industry observers say Cox Media Group may have to decide whether to sell the rep division or shutter it. However, Cox’s automated sales platform Videa remains a key asset. What’s going to happen to Cox Reps? That’s a question many broadcasters are asking as parent Cox Media Group considers bids for the sale of its stations, a bedrock of the Cox Reps’ business. The question arises because of the possible loss of the Cox stations as clients and the actual recent loss of Raycom Media. Its new owner, Gray Television, handles all its national sales in-house. And there’s the possibility of another blow. “The biggest elephant in the room is the fate of the Tribune stations,” said one executive, who like many people contacted for this story requested anonymity because of the sensitive nature of the topic. Cox represents all of Tribune’s 42 owned-and-operated stations. Another source, who formerly headed sales for a TV station group, said that in light of everything, Cox Reps is “going to be really, really challenged. Cox Media and Cox Reps declined to be interviewed for this story. Even if it were to lose Cox and Tribune, Cox Reps would still have a substantial business. According to one source, the company represents around 70 Sinclair stations, 14 Hearst stations and all of Tegna’s 49 stations. There are also some smaller broadcasters in the mix, like Capitol Broadcasting and Block Communications. The company also helps the Univision stations sell in geographic areas where its own in-house rep firm can’t cover easily, according to sources. What’s more, two of Cox Reps’ clients are said to be bidding on the Cox stations: Tegna and Hearst. And if one succeeds, that may provide new opportunities. Cox Media Group set a deadline of Jan. 30 for bids on its stations and is expected to announce a winner later this month. The rep business and been consolidating and shrinking along with the national spot business for decades. John Sanders, of Bond & Pecaro, estimates that the national share of the total core spot market has dropped from 40% a decade ago to 33% today. In small markets, the national share can be as low as 20%, said one former station group exec. Cox Reps’ only rival is Katz Television. It counts among its clients Nexstar’s 174 full-powered stations, 19 Hearst Television stations and 120 Sinclair Broadcast Group stations. Katz faces its own corporate challenge: its parent, iHeart Media, filed for bankruptcy last year. After a series of client losses, the only other firm, Petry Media, shut its doors in 2015. Cox Reps as well as Katz could also be undermined by large station groups taking their national business in-house as Gray did. “Why doesn’t Sinclair have its own [in-house] rep firm? Why doesn’t Nexstar?” asks Mark Fratrik, SVP and chief economist for BIA Advisory Services. Another factor at play is automated sales platforms — like Cox Media-owned Videa. They largely have been positioned as services that could actually help rep firms, as well as stations, by streamlining the sales process and freeing up sales people from low-level busy work. However, the platforms are seeking a piece of the sales-commission pie. And that puts pressure on the commission percentages the reps will be able to negotiate with station clients when contracts come up for renewal in the future. At least one station group executive believes that Videa is a key reason why Cox Reps may just survive, although Videa is not housed within Cox Reps, but rather is a unit that sits alongside it under the Cox Media umbrella. The best thing Cox Reps may have going for it is the desire among station groups to maintain some level of competition in the rep business. “I don’t think anyone wants to see just one rep firm, but it may just be part of the evolution of the business,” said the former station group exec.